Greenfield, Adam (2007). Every[ware] La révolution de l’ubimédia: FYP, pp. 256. L'ubimédia peut se définir comme ce qui reste de l'informatique quand les ordinateurs ont disparu - ou plutôt, ont fusionné avec tout ce qui nous entoure. Un monde de puces communicantes, de capteurs en tous genres, de surfaces interactives et d'interfaces innovantes, qui redéfinissent notre conception des objets, des lieux et des relations sociales. Un univers informationnel dense, omniprésent et toujours connecté, dont les téléphones mobiles et les réseaux sans fil actuels ne sont que les prémisses. Adam Greenfield, en des termes simples et accessibles aux néophytes, nous précipite dans cette vision à la fois futuriste et réaliste, nous incitant à comprendre les enjeux et les conséquences d'une évolution majeure qui nous concerne tous. Car, pour le meilleur ou pour le pire, l'ubimédia est la nouvelle réalité de l'informatique du XXIe siècle. Knowles, J. Gary; Cole, Ardra L (2008). Handbook of the arts in qualitative research : methodologies, examples, and issues. Los Angeles: Sage Publications. Kirschenbaum, Mattew G. (2007). Mechanisms: New Media and the Forensic Imagination. Cambridge: MIT Press, 296 p.
In Mechanisms, Matthew Kirschenbaum examines new media and electronic writing against the textual and technological primitives that govern writing, inscription, and textual transmission in all media: erasure, variability, repeatability, and survivability. Mechanisms is the first book in its field to devote significant attention to storage—the hard drive in particular—arguing that understanding the affordances of storage devices is essential to understanding new media. 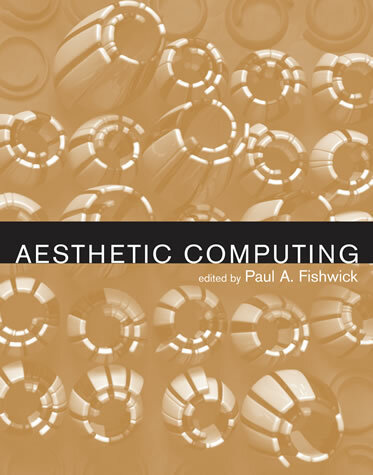 Drawing a distinction between "forensic materiality" and "formal materiality," Kirschenbaum uses applied computer forensics techniques in his study of new media works. Just as the humanities discipline of textual studies examines books as physical objects and traces different variants of texts, computer forensics encourage us to perceive new media in terms of specific versions, platforms, systems, and devices. Kirschenbaum demonstrates these techniques in media-specific readings of three landmark works of new media and electronic literature, all from the formative era of personal computing: the interactive fiction game Mystery House, Michael Joyce's Afternoon: A Story, and William Gibson's electronic poem "Agrippa." Drawing on newly available archival resources for these works, Kirschenbaum uses a hex editor and disk image of Mystery House to conduct a "forensic walkthrough" to explore critical reading strategies linked to technical praxis; examines the multiple versions and revisions of Afternoon in order to address the diachronic dimension of electronic textuality; and documents the volatile publication and transmission history of "Agrippa" as an illustration of the social aspect of transmission and preservation. As you read these words, the architects of the new virtual reality are inventing a world you never imagined: call it the playful world. It's a world of interactive Web-based toys that instantly collapse the gulf between wish and existence, space and time, animate and inanimate. It's a world where the entire fabric of the material world becomes manipulable, programmable, mutable. Situated at the crossroads of high technology and popular culture, the playful world is taking shape at the speed of electronic creativity. Are you ready for it? Your kids are. In this spellbinding new book, Mark Pesce, one of the pioneers in the ongoing technological revolution, explores how a new kind of knowing and a new way of creating are transforming the culture of our time. It started, bizarrely enough, with Furbys, the first toys that had the "will" to grow and interact intelligently with their environment. As Pesce argues, Furbys, for all their cloying cuteness, were a vital sign of a new human endeavor--the ability to copy part of our own intelligence into the physical world.